Growing up Mexican American in Los Angeles meant that tequila was often part of our familial celebrations. If there was any kind of function, whether it be in a backyard or wedding ceremony, tequila was a standard issue drink. Even on our trips to visit cousins in Tijuana, my family would stop at the grocery store to bring back a couple of bottles of tequila, because the prices and variety in Mexico were always better than in the states. If you're lucky enough to be born into our culture or call us your friends, you know that food & drink are crucial elements in enjoying all that life has to offer when you are Mexican or Mexican American. Even today when I choose to drink, which is a rare occasion, I always select a top-shelf tequila or mezcal. Now having been to Jalisco and back, I come bearing knowledge that has not only elevated my imbibing experience but will undoubtedly improve yours. Don Julio Tequila asked me if I'd like to catch a flight to Guadalajara to experience something that only a rare few ever will–taking a tour of their blue agave farms, distillery & factory, and spending time in the home of Don Julio himself. This invite was an actual dream come true as I manifested it merely a month before when conceptualizing the same idea for rapper Jeezy while writing video treatments at Spotify. Although Spotify decided a a trip to Mexico was too difficult to execute, they went with another idea of mine, highlighting Jeezy's car collection on an Atlanta racetrack. Now here I was, living my top-line Jeezy concept and I could actually taste the satisfaction. Where to begin when describing one of the best press trips of my life. International at that. I love to learn and expand my knowledge in a variety of fields, and after my journey to Guadalajara, I will never treat tequila the same. To be fully immersed with experts for days at a time, expounding on one particular subject, was incredibly cool and expansive. From multi-course dinners paired with Don Julio cocktails at Alcalde and Hueso, to a Día de los Muertos celebration at Casa Luna, the premium luxury spirit did not stop flowing and I felt great with every glass I sipped. I learned that many have suffered bad tequila moments because they were pounding back subpar liquids, only intended to be mixers. In fact, tequila should be savored slowly, similarly to a nice Scotch or Cognac, not catapulted down your throat like a disgusting spoonful of cough syrup. Lunch at Casa Don Julio also known as Hacienda Don Julio was a magical afternoon. Through the rocky terrains of the Highlands we drove to our historic destination. Upon arrival I could hear a mariachi in the distance and got a whiff of grilled meats in the air. My sensory memories were being tapped into on many levels and I couldn't wait to see what was beyond the facade before me. As I walked through Don Julio's front doors, I spotted a beautiful backyard with an entire spread awaiting our group's arrival. A private lunch at la Hacienda was exactly what I needed on this warm day in Jalisco. I took my seat towards the head of the table, close to the mariachi, and began to sip on the most delicious margarita I've drank in my life, Don Julio style. Women were flipping freshly made tortillas and grilling doughy pillows known as gorditas, both topped with generous amounts of butter. As my mouth began to water, the plates began to hit the table, not a beat skipped by the attentive staff ensuring every moment of our trip was flawless. Carne asada, caramelized onions, grilled fish, cecina, and an assortment of chilies were sprawled across the giant dining table . I felt like royalty with this delicious meal blessed before me. It was time to celebrate with another margarita. After a lunch fit for a queen, we made our way into the house for an special tasting guided by Master Distiller, Enrique de Colsa. Before me sat four varieties of Don Julio: Blanco, Reposado, Añejo, and 70 Añejo Cristalino, all served in a Champagne flute. Senor Colsa would later inform us that a luxury tequila should always be sipped from either a Champagne flute or Cognac glass (snifter) for optimal satisfaction. Refined, the true Mexican way. Here's a tequila drinking guide, as learned from a Master Distiller. There's levels to this. Blanco: Clear, crisp agave aromas blended with hints of citrus. Light, sweet agave flavor. Best for mixed drinks. Reposado: Straw-like color, incredibly soft & elegant hints of dark chocolate, vanilla, & light cinnamon. Best served neat. Añejo: Light amber, bright and lightly spiced finish with essence of wild honey. Best served on the rocks. 70 Añejo Cristalino: Clear, smooth in character with highlights of vanilla, honey, & toasted oak. Best served on the rocks. 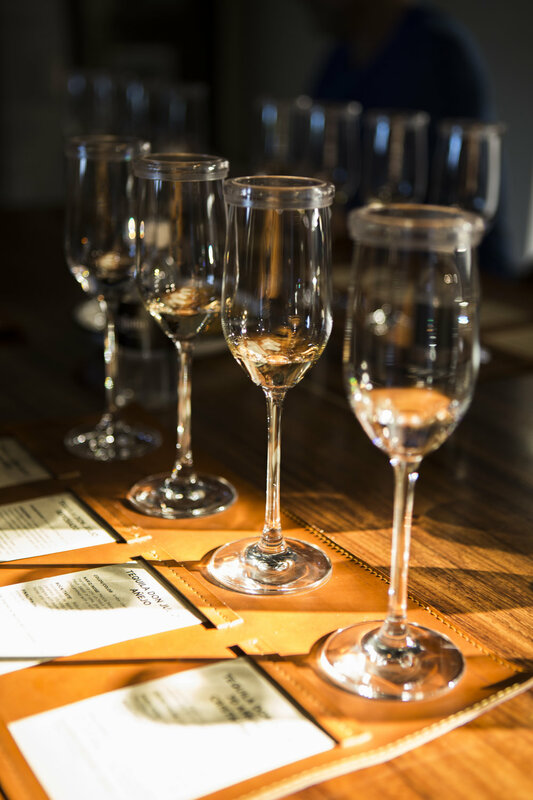 I experienced the entire life cycle of tequila, from its birth in the fields of blue agave to its intricate distillation at the Don Julio factory. 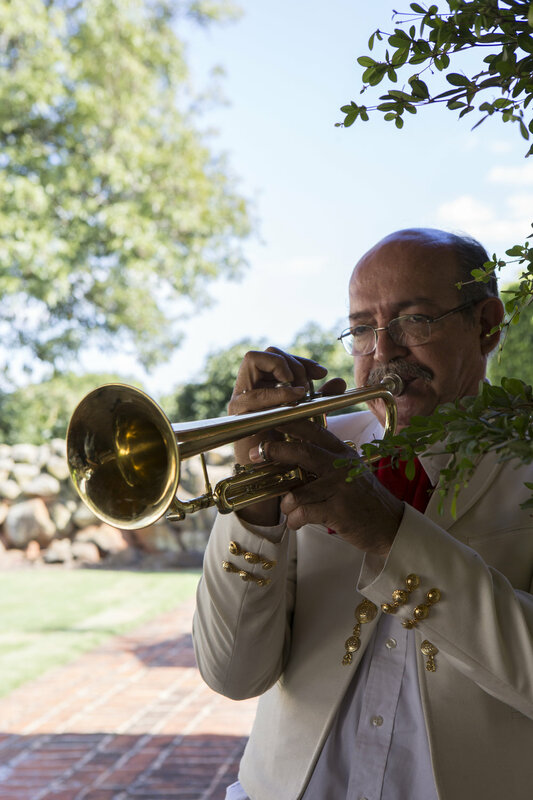 At La Primavera, located in the Highlands of Jalisco-Los Altos region, Don Julio wanted to create a more nuanced blend of tequila for personal enjoyment and began experimenting with 100% blue agave plants among the rich clay soil and microclimate. 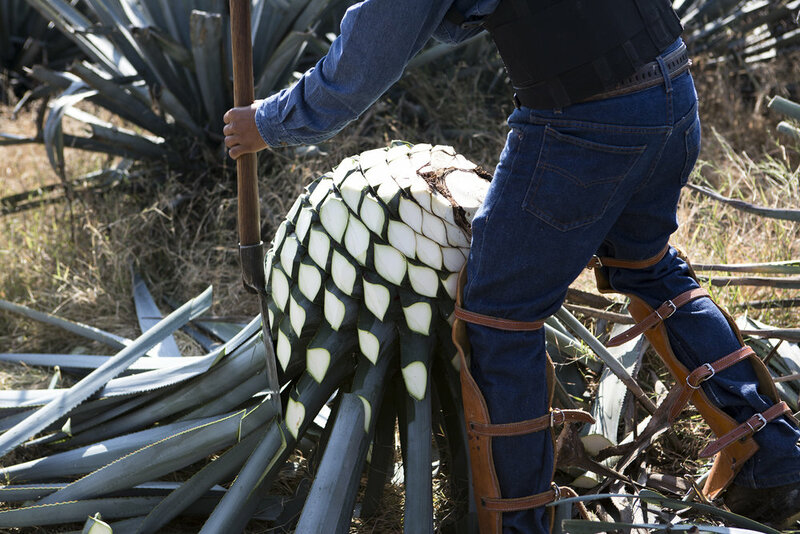 He planted blue agaves farther apart than most distilleries, which lead them to grow larger and essentially sweeter. When sliced, the agave is called a "piña" as it resembles a pineapple, beautiful in its shape. 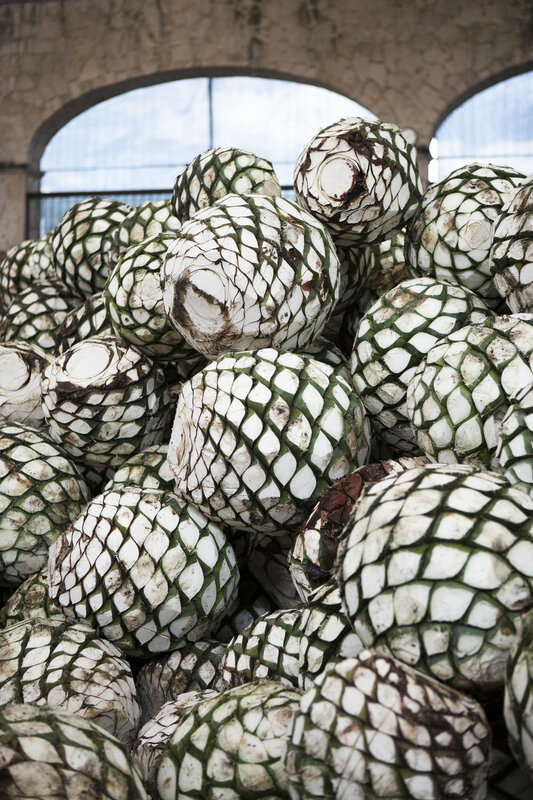 Whereas many other distilleries place the entire blue agave plant into the furnace, at Don Julio, each stem is removed by a farmer. By doing so, they are avoiding a betrayal in flavor caused by a waxy film found on the leaves. Quality over everything is something I repeatedly saw while on my tour. I spent an entire day with Enrique de Colsa, Don Julio's Master Distiller and close friend to Don Julio himself (when he was alive). He is the man responsible for evaluating the subtleties and nuances of each grade of tequila in the portfolio, ensuring that Don Julio remains the best selling in Mexico. Colsa is the reason we have 70 Crystal Añejo, a celebration of Don Julio González’s quest to redefine tequila. Don Julio 70 is twice distilled and aged to perfection for 18 months in American white oak barrels, giving it the rich complexity of a traditional Añejo, and then carefully charcoal filtered to bring back the crisp agave flavor typically found in a Blanco. I'd be remiss if I forgot to mention my favorite of the bunch, Don Julio's 1942 Tequila, a commemoration of Don Julio’s 60th anniversary. Using a personal selection of prime agave, Don Julio created this unique batch of tequila aged for at least two and a half years in American white oak barrels. This was the final act of Don Julio González's life, in collaboration with Master Distiller Enrique de Colsa. 1942 is packaged in a elegant elongated bottle designed after the agave leaf and is best appreciated when served in a snifter. While on the trip, I would not stop singing Partynextdoor's ode to1942 but the real tequila heads said if he were really about it, he would've sang about Don Julio's REAL, the most expensive in the collection. Unfortunately, I was not given not one sip of that on my trip but I can report that I got indulge in a brand new variety that has yet to hit the market.